Poitou is one of those regions that is rather forgotten lying as it does between the famous regions of Bordeaux and the Loire Valley. However, it is the home of some excellent wines usually at very good prices and young, ambitious winemakers have begun to produce wines in this promising corner of southwest France. The climate and the soils are very similar to those found in the Loire Valley just several kilometers further north. Although grapes have been grown here for many centuries, the vineyards suffered in the 17th century from the Religious Wars in the region and in the 19th century from phylloxera. It is only in the last 30 years or so that the area has seen a renaissance (Haut Poitou was awarded its AOC in 2010). The grapes grown in the region tend to be Sauvignon Blanc and Chardonnay for the whites and Cabernet Franc, Gamay and Pinot Noir for the reds and rosés. The wines have quite powerful, fruit driven aromas, good freshness and balance. These are wines to enjoy young although some of the most talented winemakers such as Frederic Brochet are now making serious wines that are receiving great praise. The "S" here, quite simply stands for Sauvignon, the passion of Frédéric Brochet. Grown in the Ampelidae vineyards with their mixture of clay and sand subsoils on a bedrock of flint and limestone, the grapes are hand picked and allowed to macerate on the skins for 14 hours before fermentation. 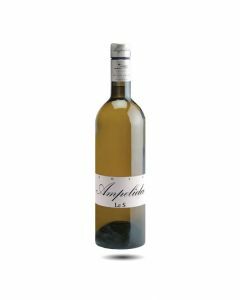 This takes place partly in oak barrels, partly in tanks and results in a brilliant clear wine with very forward aromas of tropical fruits, fruit compote and a salty minerality. The wine has great intensity and depth of flavour with a pure, long finish. Serve with asparagus, river fish, oysters, lobsters and goats’ cheese.